Our convenient SDY family plan helps make sure that you never run out of your SDY products. Choose this option and you will have one shampoo delivered to your door every other month (6 times a year) at a discounted rate! Renewal Program: Choose this option if you wish to automatically receive your SDY Shampoo delivered to your door at a discounted rate! Reclaim & restore your youthful head of hair in a healthy & natural way! 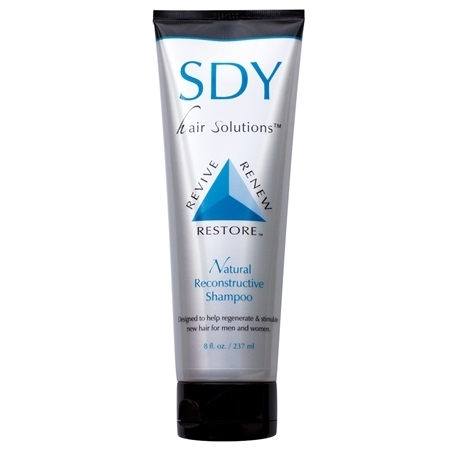 SDY Natural Reconstructive Shampoo is designed to help regenerate, stimulate & strengthen new hair for men and women. How to use: Shake vigorously. Apply shampoo generously to wet hair and massage well into scalp. Let sit for 5 minutes. Rinse and repeat! 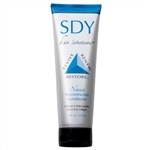 Follow with SDY Hair Solutions™ Conditioner. For best results shampoo everyday or every other day. Results may vary.